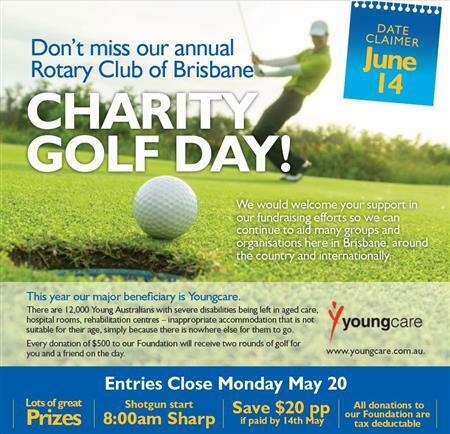 Don't Miss our annual Rotary Club of Brisbane Charity Golf Day! 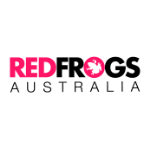 We would welcome your support in our fundraising efforts so we can continue to aid many groups and organisations here in Brisbane, around the country and internationally. This year our major beneficiary is Youngcare. There are 12,000 young australians with severe disabilities being left in aged care, hospital rooms, rehabilitation centres - inappropriate accommodation that is not suitable for their age, simply because there is nowhere else for them to go. Every donation of $500 to our foundation will receive two rounds of golf for you and a friend on the day, or you can book your space in the event (not tax deductible) for $170 per person. Bookings made on or before 14th May will receive a $20 discount. Check in: By 7.15am. Start: Shotgun start at 8.00am Sharp. competitions and our Multi Draw prize table raffles. on the perpetual Charity Shield.